NPR explores the issues, struggles, and triumphs of the American women’s movement, from early pioneers to modern groundbreakers and leaders of today who fight to preserve hard-won rights. Profiles of Victoria Woodhull, Elizabeth Cady Stanton, and Susan B. Anthony provide insights into the origins of the movement, while reflections from Betty Friedan, Gloria Steinem, Bella Abzug, Geraldine Ferraro, and others reveal the passion and dedication required to maintain progress in the continuing struggle for women’s equality. It comes as no surprise that the NPR news pieces included here are both thoughtful and interesting. 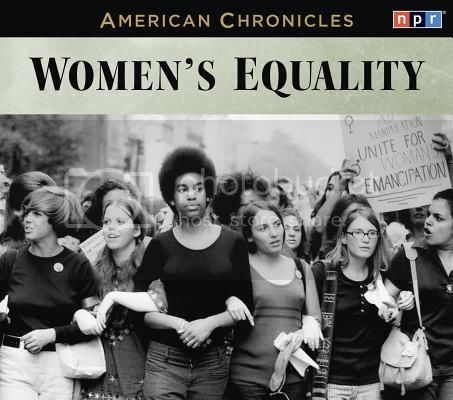 The real strength of NPR American Chronicles: Women’s Equality comes from the curation. There is a wonderful mix of topics, from the women’s movement of the later 20th century to profiles of the suffragettes and other early proponents of increased equality. For an alternate viewpoint, an interview with Phullis Schlafly, conservative activists and vocal opponent of the Equal Rights Amendment, is even included. Much of the speech in NPR American Chronicles: Women’s Equality would not fly in traditional audiobooks. 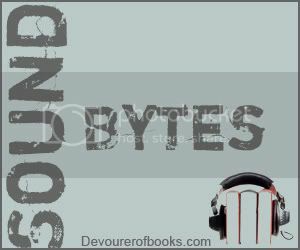 It is rife with the much dreaded ‘mouth noises:’ speakers can be heard to breathe, smack their lips, sigh, etc. However, in the conventions of NPR news this is generally accepted, and since Women’s Equality is essentially just a collection of NPR news stories, I can give this issue a pass in this case (although I think it important to mention for those listeners who just absolutely can’t stand that). There is a significant variety from piece to piece in the prevalence of the ‘mouth noises’ and the fluency of the speakers, but that is to be expected due to the number of different subjects interviewed and the number of different journalists and on-air personalities reporting the various stories. For more on this book, please see my AudioFile Magazine review. I bet this is great! This sounds fantastic. Though I have to say the mouth noises thing makes me shudder-it’s one of those things that drives me nuts. That being said this sounds worth it. Oh, I agree! Just wanted to mention it for people who really can’t deal, since there were definitely a few moments that seriously grossed me out. “Grossed you out?” OK, now I’m imagining serious slurpiness! *That* I would find distracting! A couple cases of some serious wet smacking, from interviewees. This definitely sounds really interesting. I generally find its more effective for me to listen to non fiction than read it. My eyes are too tempted to wander away from the page. Also the subject sounds really interesting (and incredibly relevant right now). May have to add this one to my to-listen list.